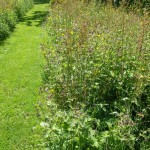 Rows or areas of wildflower meadows within a lawn look very attractive when there is fresh growth and new flowers. 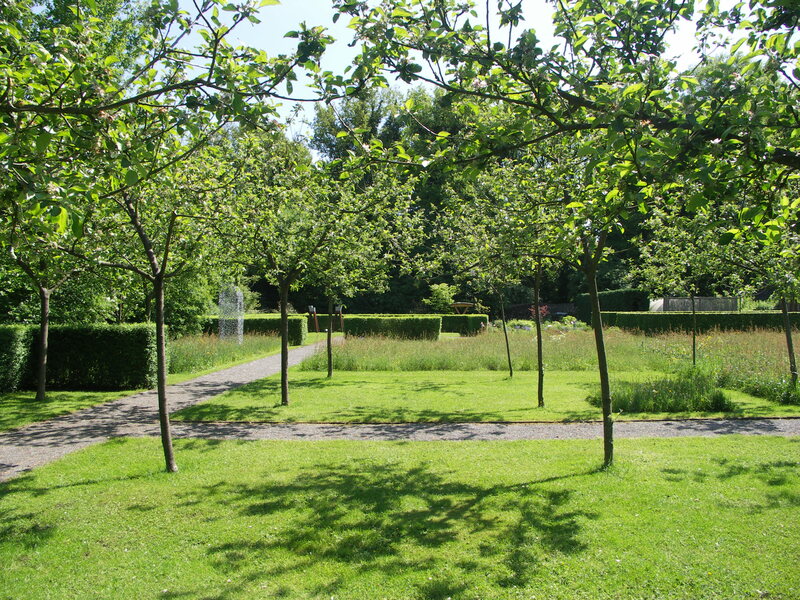 The beautiful gardens of Mien Ruys in Holland have some great examples of strips and rectangles of meadows which contrast with similar shapes of lawn and grass. 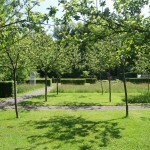 Shown here is a very simple geometric grouping of trees, clipped hedges and unusual sculptures set off by lawns and wildflowers. This band of wildflowers in the Mien Ruys gardens is augmented by the dark Geranium phaem. 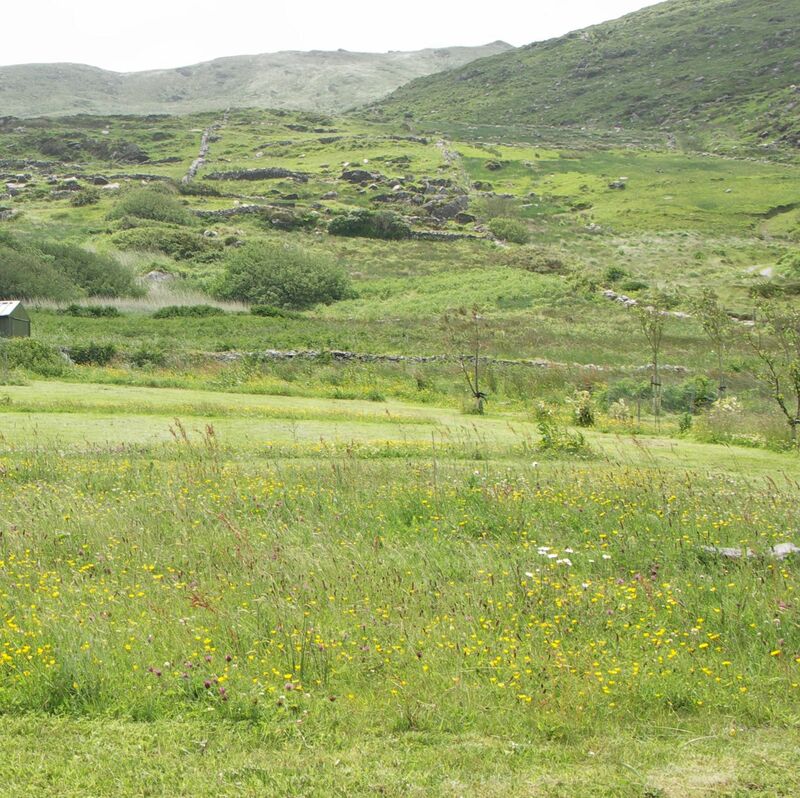 Adding a few flowers into what naturally self-seeds can work well and give a character to suit your own garden. 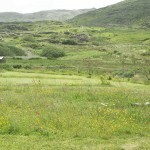 It can also prolong the season of interest and provides extra colour and variety. 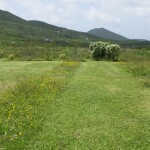 Parts of the grass lawn become paths between meadow areas. 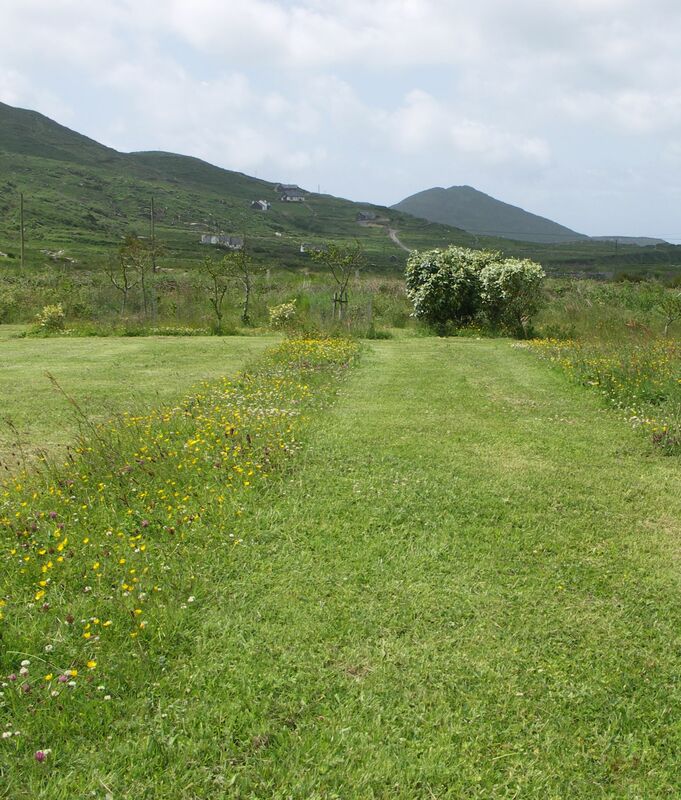 In the large area of grass garden backing onto this hillside in Kerry, Ireland, areas and strips of meadow as shown here add interest for minimum effort. When the flowers are past their best, they can be mowed down and new areas of wildflowers created as later flowering types emerge. 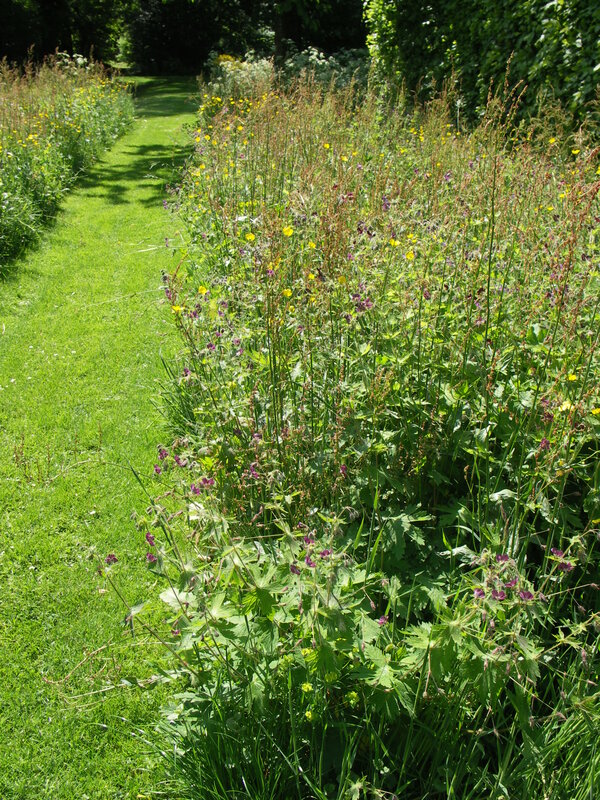 This entry was posted in Meadows and tagged Garden Design, geometric shapes, grass, lawns, Leaf & Acre, low maintenance, Meadows, Mien Ruys, North London, wildflowers on June 24, 2013 by admin.